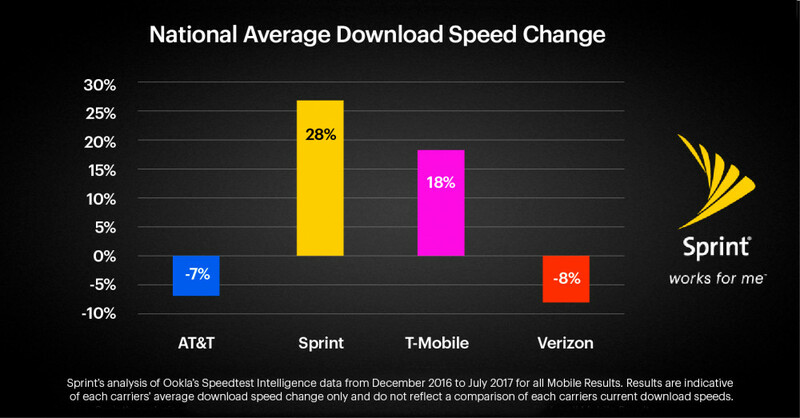 Sprint has today announced that its average download speeds are now 28-percent faster than seven months ago. according to recent Ookla data. As for which cities those are, they are said to include Atlanta, Denver, Indianapolis, Salt Lake City, and Seattle. Sprint customers increasing use of High Performance User Equipment (HPUE) enabled handsets such as the Samsung Galaxy S8, LG G6 and the HTC U11 have helped increase download data speeds by as much as 30%.